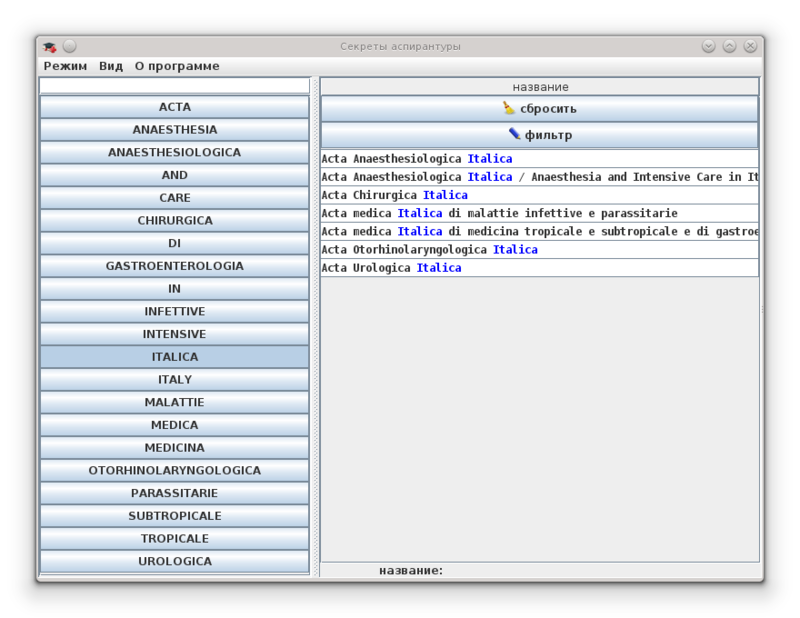 Catalog of Russian and international scientific journals and Russian dissertation councils with smart search functions. The database of program contains 2269 Russian journals, 32059 international journals, 5443 dissertation councils, and the list of specialities in Russia. This program can be useful for young scientists and aspirants. Asynx Planetarium is a easy to use planetarium program and solar system simulator. It can display the night sky from any location on earth and between the year 1760 and 9999. It covers over 10000 stars, the planets, messier objects, all 88 constellations, the moon with phase and the sun. Fast animations: Night sky, geocentric and heliocentric view. Perfect for students, kids and all others interested in our solar system. Try it, it's free ! 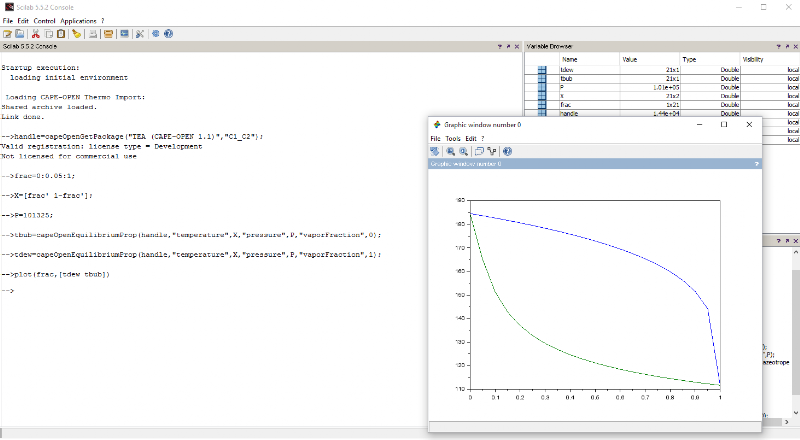 Importing CAPE-OPEN version 1.1 thermodynamic and physical Property Packages into Matlab. A command driven package allows for selecting a CAPE-OPEN Property Package, and then perform thermodynamic and physical property calculations and thermodynamic equilibrium calculations from within Matlab. The package defines the interfaces to communicate with CAPE-OPEN thermodynamics packages; requires Matlab and a 3rd party thermodynamic server. 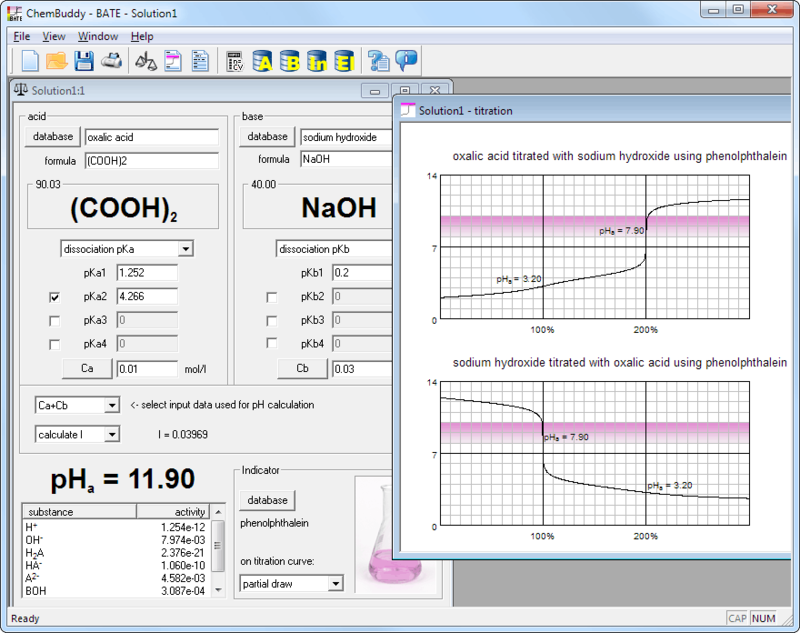 Import CAPE-OPEN version 1.1 thermodynamic and physical Property Packages into SciLab. 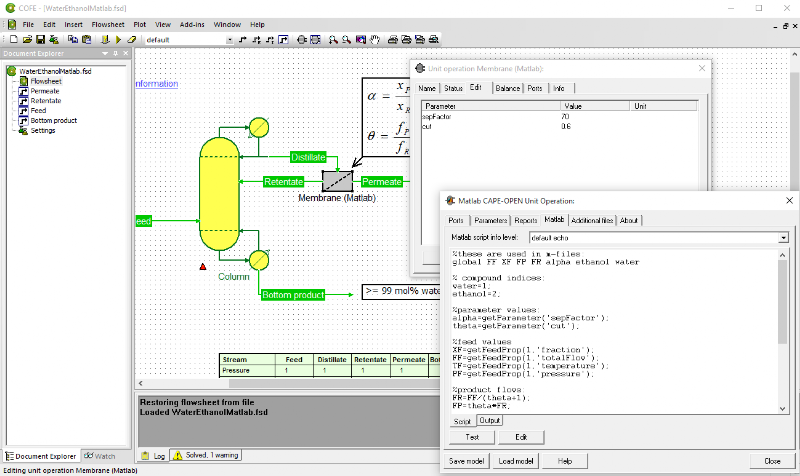 A command driven package allows for selecting a CAPE-OPEN Property Package, and then perform thermodynamic and physical property calculations and phase equilibrium calculations. Requires separate installation of Scilab, free-of-charge) and third party thermodynamic server. Free for academic and non-commercial use. 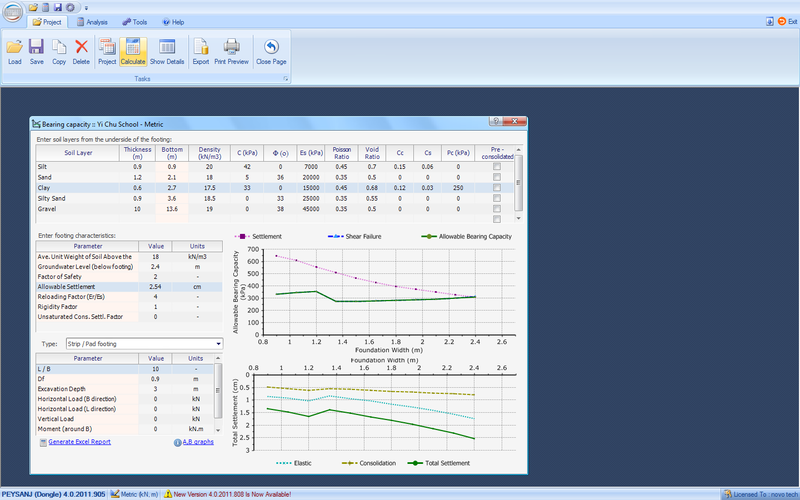 The SciLab CAPE-OPEN Unit Operation is a CAPE-OPEN compliant unit operation implementation for which the calculations can be entered in SciLab and solved using Scilab solvers. 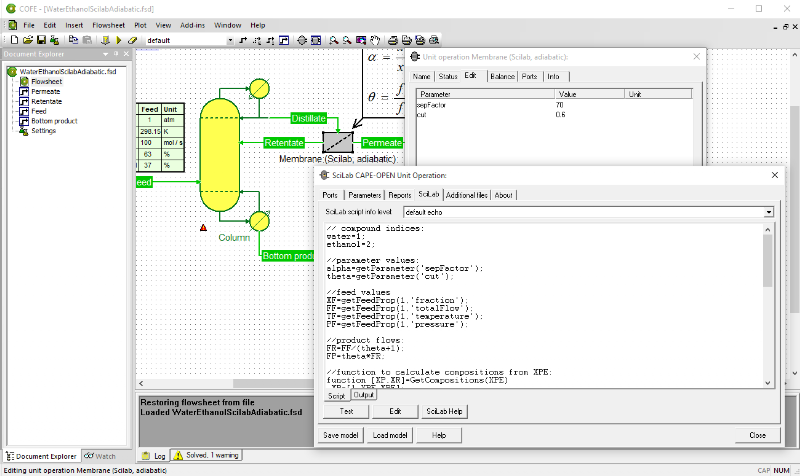 Can be used in CAPE-OPEN compliant process simulators that support version 1.1 thermodynamics. Requires Scilab installation. Free of charge for academic and non-commercial use.